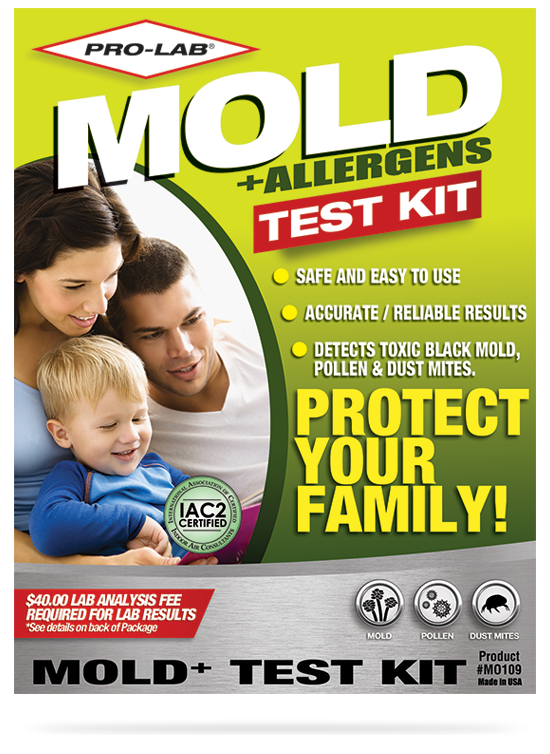 The #1 selling Mold Test Kit in America! 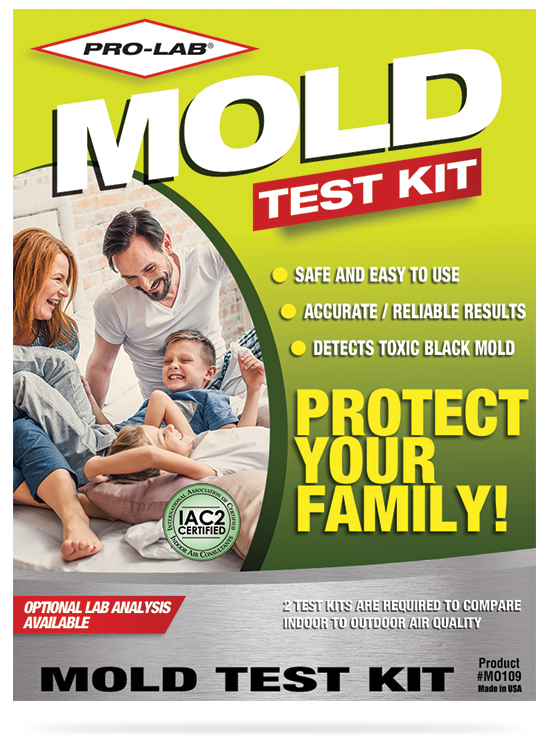 The PRO-LAB® MOLD TEST KIT is designed for “do it yourself” use with accurate and reliable results. The PRO-LAB® MOLD+ TEST KIT is designed for “do it yourself” use with reliable results. It uses the same sampling methods that are used by professional mold inspectors and industrial hygienists worldwide. The test kit offers four (4) easy sampling methods that inexpensively detect dangerous levels of microscopic viable (living) and non-viable (dead) mold spores that may be present in your home. The first two (2) dust collection sampling methods are an accurate way to determine the presence of mold, pollen and dust mites in your indoor environment. If so desired, the second two (2) sampling methods allow you to take a sample of visible mold growth or a small bulk sample of mold.